Many homeowners are surprised to discover issues with their roofs, leaving them vulnerable to the outdoor elements. However, the chances are that their system had several warning signs of problems, but the owner just never saw them. All too often we ignore roof repair needs because if an issue is out of sight, it remains out of mind as well. That is why, when you need to hire a local roof repair North Vancouver contractor, you need someone who can handle all your maintenance needs. At North Vancouver Roofing, we continue providing experienced repair contractors who can take on any project. From annual inspections and maintenance repairs to complete reinstallations, we can handle all your roofing needs quickly. You can’t afford to trust your roofing repair needs to just anyone. Make sure that you give your home the best in North Vancouver roofing companies today. Screening roofing companies is never a simple process, and if you aren’t sure what a contractor’s finished product will be, it only makes for a far more stressful situation. 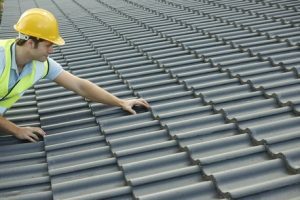 Considering roofs are such an expensive investment, you need to know that you’re getting quality that lasts a lifetime. You need to know that you’re hiring the roofing company North Vancouver experts who have numerous years of combined professional experience. When you need lasting peace of mind that your home remains protected, you need our team completing your project. We remain the best mix of experience and value, and there’s no job too complicated for us to finish. Contact us today and request your complimentary estimate for the best North Vancouver roofing providers. 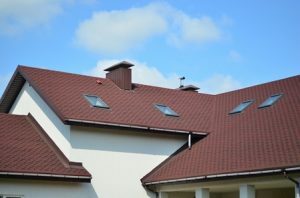 A new roof is among the most important purchasing decisions a homeowner can make. When you have poor results, it only leads to years of maintenance to force it to perform as intended. Instead, you could hire us for your new roof and rest easier knowing you will get years of dedicated service from it. When installed correctly, a new system can survive upwards of two decades without much care. Whether you need a brand-new roof, a re-roof, or a replacement system for your home, our team has the expertise to complete it all. We can even help you maintain your roof to last even longer without severe water damage or structural concerns. When you need an all-in-one professional roofing team, look no further than us. Contact us today for the best in North Vancouver, BC roofing repairs. 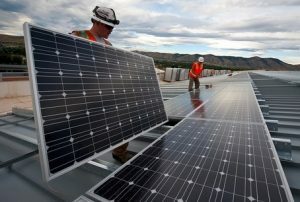 Commercial building types often use a different roofing system than residential houses. However, this doesn’t mean that they are any less important. Many commercial system leaks happen slowly, making them difficult to notice until the damage is already severe. By the time you do discover water intrusion and structural cracks, it may be too late to repair them. Our team provides fast and reliable commercial roofing services that keep your business better protected every day. From a better quality of repair options to entirely new roofing installations, we can provide everything you need. Don’t let your company slip into disrepair when you have a better solution on your side. Call today for the best in local commercial roofing contractor services. A homeowner who was fortunate enough to hire a qualified roofing North Van contractor may only need to contend with minor maintenance items throughout the system’s use able service lifetime. However, for many area residents, that is not always the case. Some contractor teams take shortcuts to speed your job up, but they do so at leaving your project vulnerable to the weather. Others just aren’t experienced enough to provide you with the lasting quality you had hoped to receive. Instead, choosing our team is the best choice for complete roofing repairs, no matter the scope of damage or the services you need most. We can handle any maintenance item, from missing asphalt tiles to complete re-roofing, keeping you better protected for less. Choose us for the reliable choice in complete roofing repair services. 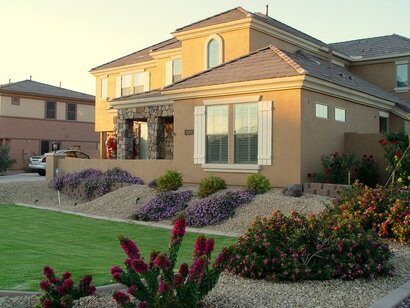 We provide lasting durability for your home on every job. One of the most crucial aspects of new construction homes is setting the roofing system up for success. If done correctly, your initial roof installation will provide years of lasting protection against, rain, snow, severe wind, and more types of hazards. ssing deadlines. However, our team has the professional experience you can trust for timely installations that last. You deserve a home with a roof that can withstand everything Mother Nature sends your way. When you need to know that your recently completed house has the level of defense it deserves, you need our team assisting you today. Call now for your best solutions for new construction house projects. When you choose us, it means never needing to worry about maintenance items again. All too often, a roofing service provider will advertise better results, but they lack the know-how to do so confidently. 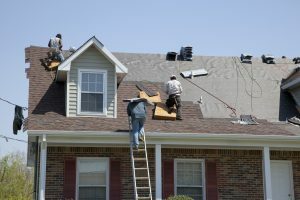 Whether they only offer one or two roofing services, or they find out the hard way that they aren’t sure what they are doing. In the end, this only hurts you, the consumer, who now must pay for a second company to repair the mess the first one left. Instead, by hiring the experienced choice for all your needs, it helps you save a ton on lasting protection from the outside. Make sure you’re giving your home the top choice in local roofing contractor professionals with the team behind North Vancouver Roofing.